By the time Apple introduced their new 7.9-inch tablet, it was pretty much a known quantity. That is true once again with the iPad mini reviews, which are coming in pretty much as one would expect. Yes, this smaller tablet is very, very well designed and offers excellent build quality, which is to say that it’s an Apple product. However, there are some small nits to pick. First of all, the caveats are few and fairly consistent across all of these reviews — 1.) the price is a bit high, though the product is very, very competitive, 2.) the base specs seem thin, yet performance and build are typically excellent and 3.) the keyboard in portrait view can be a bit cramped, which is all about how large or small your hands are. That said, for the this iPad mini review roundup, a summary of conclusions from six top hardware experts, place of pride goes to Walt Mossberg. 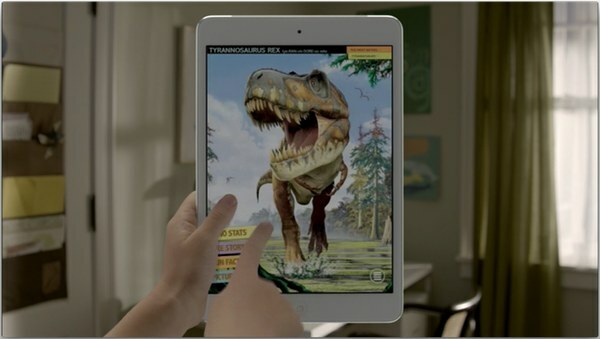 • The $329 price may well tempt some budget-conscious buyers who have lusted for an iPad. But Apple believes the lower size and weight, not the price, are the key attractions. If you love the iPad, or want one but just found it too large or heavy, the iPad mini is the perfect solution —All Things D, Walt Mossberg. • It doesn’t feel like Apple is racing to some lowest-price bottom — rather it seems to be trying to raise the floor. And it does raise the floor here. There’s no tablet in this size range that’s as beautifully constructed, works as flawlessly, or has such an incredible software selection. Would I prefer a higher-res display? Certainly. Would I trade it for the app selection or hardware design? For the consistency and smoothness of its software, or reliability of its battery? Absolutely not. And as someone who’s been living with (and loving) Google’s Nexus 7 tablet for a few months, I don’t say that lightly — The Verge, Joshua Topolsky. Using the iPad mini’s keyboard can be a little cramped for some. • I was really surprised with how much I used the iPad mini in my daily routine — more than the 10-inch iPad. 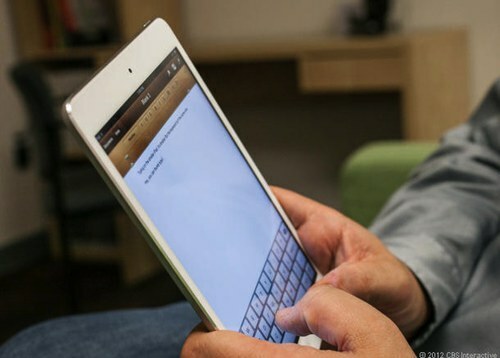 There are a couple of things you have to remember with the iPad mini. First, it isn’t just a smaller iPad, but rather it feels like its own device … The iPad mini is a well thought out device and it’s exactly what you would expect from Apple — Loop Insight, Jim Dalrymple. • [T]he hardware here is much nicer than the Nexus 7 and it offers access to the comprehensively more tablet-friendly App Store, but whether that’s worth the extra cost depends entirely on the size of your budget — and your proclivity toward Android. Regardless, the iPad mini is well worth considering for anybody currently in the market for a tablet. Its cost is compelling, its design superb and it of course gives access to the best selection of tablet-optimized apps on the market. To consider it just a cheap, tiny iPad is a disservice. This is, simply, a great tablet. — Engadget, Tim Stevens. 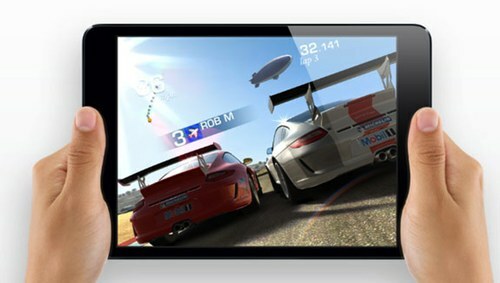 Apple’s iPad app ecosystem in general and gaming in particular are a huge advantage. • Lining those pluses and minuses up against those for the Nexus 7 – which garnered four stars – there’s no doubt that this is indeed a five-star device. The 20 percent difference in comparative price is more than made up by the difference in build quality and software selection. Apple is going to sell a lot of these… — The Guardian, Charles Arthur. In case you missed the message, the iPad mini isn’t a $199 device in any sense — the display size, hardware design, fit and finished, and the massive app ecosystem make it a good deal more. Of course, the proof is in the pudding — get out there and try the iPad mini, as well as the Nexus, Kindle Fire HD, etc. for yourself.